For years, Winkelman-Bruce & Truax LLP has been providing quality, personalized financial guidance to local individuals and businesses. Winkelman-Bruce & Truax LLP's expertise ranges from basic tax management and accounting services to more in-depth services such as financial statement preparation and estate and tax planning. Winkelman-Bruce & Truax LLP is one of the leading firms in and throughout Medford. By combining our expertise, experience and the team mentality of our staff, we assure that every client receives the close analysis and attention they deserve. Our dedication to high standards, hiring of seasoned tax professionals, and work ethic is the reason our client base returns year after year. Our mission is to help clients maintain financial viability in the present, while taking a proactive approach to achieve future goals. This requires open communication to reach an understanding of our clients' needs through research and sound analysis. Winkelman-Bruce & Truax LLP is dedicated to meeting these goals with high standards of excellence and professionalism. We have been a staple of Medford's business community for years, and pride ourselves on the level of esteem we have earned. Our dedication to hard work has earned the respect of the business and financial community in and around Medford. We believe this to be a direct derivative of our talent and responsiveness to our client base. Whether you are a current or prospective client, rest assured that individuals and businesses who choose Winkelman-Bruce & Truax LLP receive competent and timely advice. Jackie Truax, CPA, is a partner in Winkelman-Bruce & Truax, LLP, in Medford, Oregon. She specializes in small business consulting, including tax preparation, bookkeeping, payroll, and Quickbooks consulting. Jackie has a Masters degree in Business Education from Southern Oregon State College and a Bachelor of Science in Business Education from Oregon State University. She has taught at the high school, community college, and vocational college levels, and continues to enjoy conducting seminars for her clients. 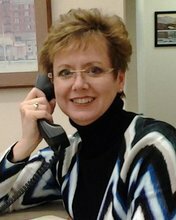 She is a member of the American Institute of Certified Public Accountants, Oregon Association of Tax Consultants, Pro Club, the Medford/Jackson County Chamber of Commerce, and is a past president of the Kiwanis Club of Medford. She and her husband Vince live in Central Point with their two 4-legged "kids", Riley and Max. Portland, Oregon, she returned to her roots in the beautiful Rogue Valley. She began her own accounting practice in 1999. Her business objectives are to provide clients with a service of value to them and to provide employees a rewarding place to work of which they can be proud. One of the Firm's mottos: "Our job is to work with numbers, not treat people like one". She received her Bachelor of Science degree in Business Administration from Oregon State University with emphasis in financial management and financial planning and control. She followed up with post-baccalaureate work in accounting and law at Portland State University. Specialized consulting including accounting systems and design, loan application and presentation, QuickBooks software usage and setup. Before beginning her own accounting practice, Lisa was a senior tax manager with both Yergen and Meyer LLP, which became Moss Adams LLP, both regional certified public accounting firms and business consultants. She is past president of The Rotary Club of Quail Point (Medford), and serves on the board of Pacific Bible College as treasurer. 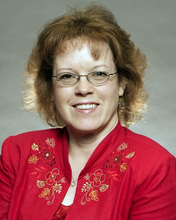 She is also a member of the Oregon Association of Tax Consultants and the Medford/Jackson County Chamber of Commerce.